See how to bud fruit trees and learn about rootstock selection and how to produce your own rootstocks for budding and grafting fruit. 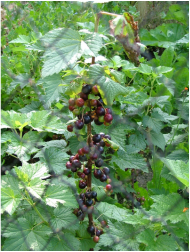 The course will take a look at propagation of soft fruit such as strawberries, currants, gooseberries and cane fruits (raspberries, blackberries, tayberries and more). A tour of our nursery area will show after care of propagated fruit.